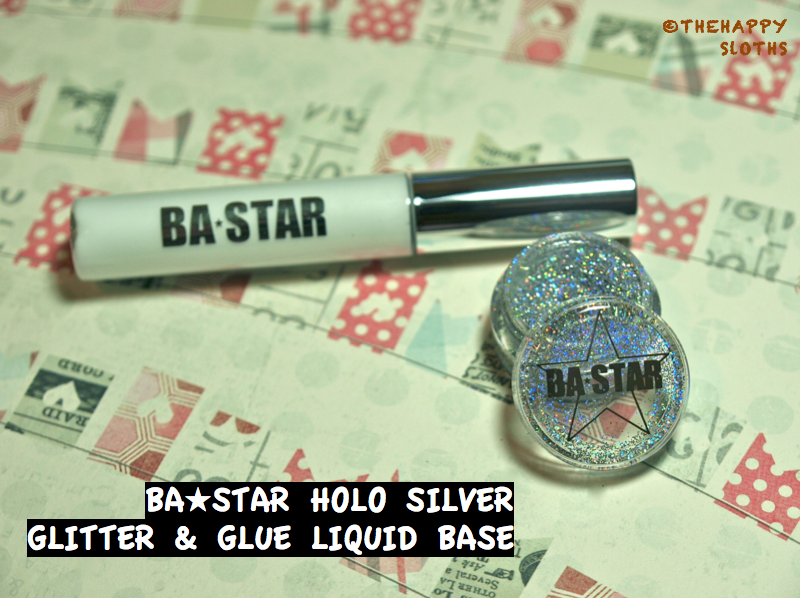 Disclaimer: The following products were provided for review by BA STAR via BrandBacker. 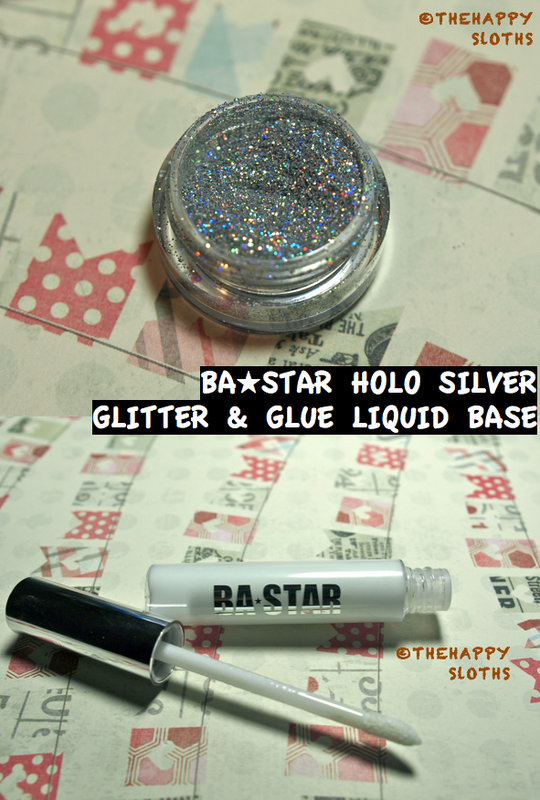 The holographic silver makeup glitter is safe to use on the face, body, and hair. The glitter individually gives off a holographic effect and when you apply them in a dense patch, you definitely notice a beautiful rainbow pattern, as seen below in the focused and unfocused pictures. 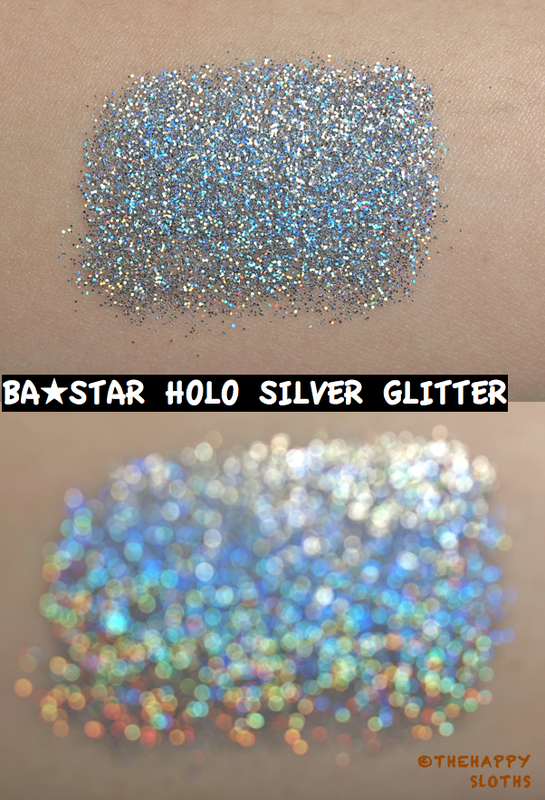 The size of these glitters are fairly small, it is the same size as those found in traditional glitter eyeshadow. The glue liquid base (white but dries clear) comes in a tube with a doe-foot applicator (much like the old UD primer potion packaging); surprisingly it isn't very sticky yet it does a decent job by keeping the glitters intact. However, the application of the glitter is super messy, I had to use a strip of scotch tape to pick up all the fall out that landed on my face. With that said, I think it looks very pretty. much glitter and comes in a sturdier black jar. 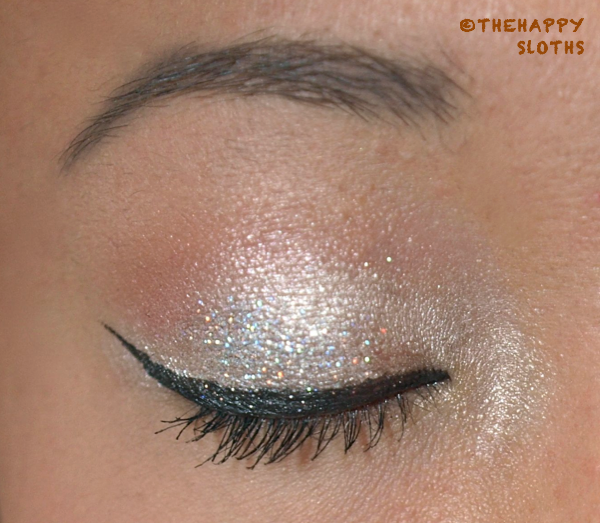 Here I did a look using Maybelline Color Tattoo in "Too Cool", Urban Decay Eye Shadow in "Zephyr" and "Scratch", L'Oreal Lineur Intense Felt Tip Liquid Eyeliner and Fairy Drops Platinum Mascara. I dabbed some of the glue base to the center of my lid and then added some of the glitter using a flat eye shadow brush; then I gently dabbed off the excess glitter with my fingers. Overall, I do really like these products, but for a college student like me, I will probably only use it on very special occasions or on Halloween. I also would like to note that the glue base is made in Taiwan, for those of you who are concerned where your makeup products are manufactured from. Both products are sold for $8.75, but with the coupon code BBGLITZ, you can get 50% off your entire purchase so it's really not a bad deal (they also carry a wide array of other makeup items). Thanks for reading, come back again for more product reviews!